There are several ways to be a part of our chorus! Sing with us. There are no auditions and everyone is welcome. There is a ‘vocal assessment,’ that is, a one-on-one session with the director to determine vocal placement and vocal screening. There is a nominal membership charge, and a music charge. We currently have from forty to sixty members singing per “semester”. We welcome input from the public and have community members-at-large on our board. You could become involved in publicity, ticket-taking, set design or whatever your talents dictate! Attend a concert! In addition to hearing fine music, you will be invited to participate in the famed sing-along portion of the program, and to partake in the reception following each performance. We have ongoing expenses of various sorts, so financial support is always welcome. * Scholarships are available so don’t fret too much about the fees…. 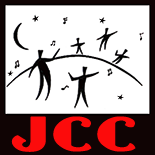 community organization that exists solely for the purpose of singing in and for the community. The chorus is open to everyone including those residing outside of Jamestown, RI. There are no auditions. Anyone interested in joining the chorus is encouraged to do so. There is a charge for music and a nominal membership fee.